is running, but the transactions are still not being moved. while creating the POS configuration with the Retail Database Utility. We need to provision the offline database / Offline sync service again. 2. 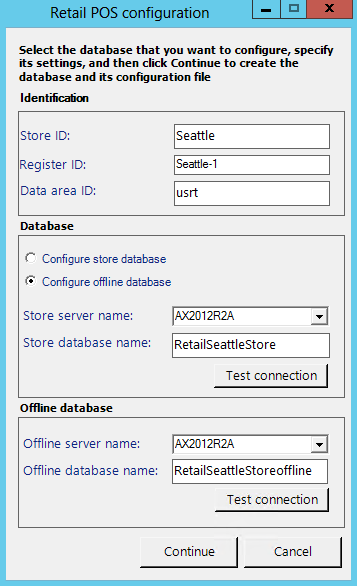 Then start the Retail Database Utility on the POS and point to the right store database and offline database. Press continue. 4. Wait 2 minutes and then log into the POS (connected to the store database) and close the shift.